River Bear Racing is here! 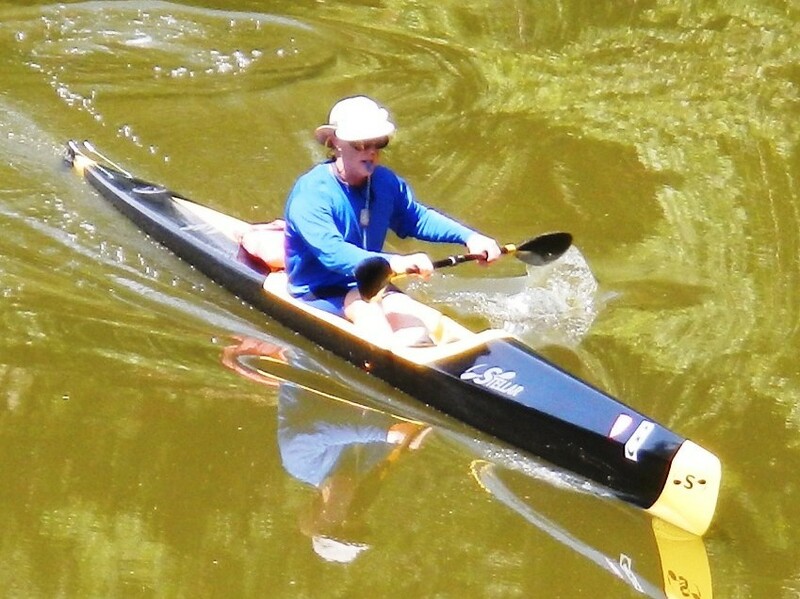 Well known to the racers of the United States Canoe Association, Steve has accepted an invitation to represent Stellar Kayaks in the Midwest. Since 2009, Stellar has been delivering innovative kayaks, surf skis, paddles, and accessories across North America. Steve always liked the cockpit and foot plate design of Stellar Kayaks as he advanced from a recreational kayaker when I met him in 2007 to the reigning State Champion in the Men’s K-1 Open Class in Indiana. We have been on many adventures together since then, usually with me cheering him on from the side of a river somewhere, “gooooooooo Steve!!! !” And I have loved every minute of it too. So I invite you, Gentle Reader, to check out and FOLLOW my husband’s new website: River Bear Racing. Steve is an amazing storyteller so expect to be treated to much adventure and humor as he navigates the rivers east of the Mississippi in carbon fiber boats narrow enough that the rest of the world would call them a man-sized tongue depressor! These racers are amazing, fast, fit, and . . . well I better stop here lest I get into some wifey-poo trouble! I am grateful to have learned so much from Steve and his love for the sport of sea kayak and surf ski racing. And I even have Steve to thank for my really neat paddling gear (that exceeds my abilities) as well.